Running CC2018, latest version. Action is failing once it selects area and then Command Play is currently not available. 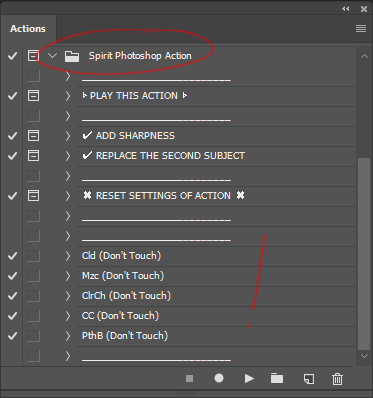 Play Action Mzc…..
Also a mistake can occur when in the actions list (downloaded in Photoshop) there is already an action with this name, rename or temporarily delete it and play my action. 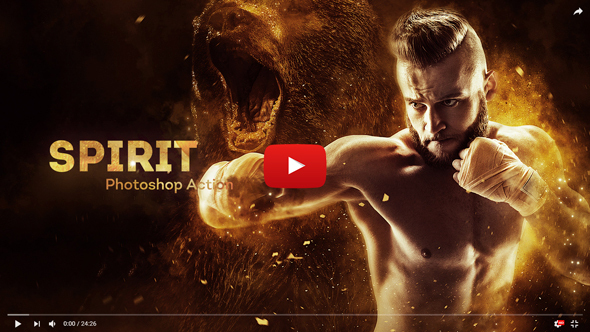 One of the best PS action out there…TOP! It’s great idea! Good luck! Is it possible to download for free to anyone on my website? I would advise you to carefully watch the beginning of the video-tutorial. It shows how to install the components of the action and create masks. Also with the action files, there is a PDF-instruction that describes how to install the action to Photoshop. Hello, does it work in Photoshop in other languages? Or it only works in the English version? Hello. Works only with the English version of the program. Hello my select and mask does not seem to create a line around the subject. I have googled this and it does seem to be a problem. Do you have any suggestions on how to make select and mask work? I ave watched your video. Or can I use something else that is not select and mask? Hello.Please send me a screenshot where I can see image with masks and the window “layers”(before playing the action). Have you errors while playing an action? I Have purchased this and keep getting a memory overrun error. Both in Cs6 and in cs 2017. Tried Purge and then get another error. Purchased several actions off of this site and not run into this.Help.. The brush when selected by itself seems to cause the error. I redownloaded and reinstalled the action and got the same error. The memory overrun error doesn’t apply to the problems of the action. If the subsequent Purge will not help, make the image size smaller. You wrote that after purge you got another error, which one? So that I can help you, I need to know more details. 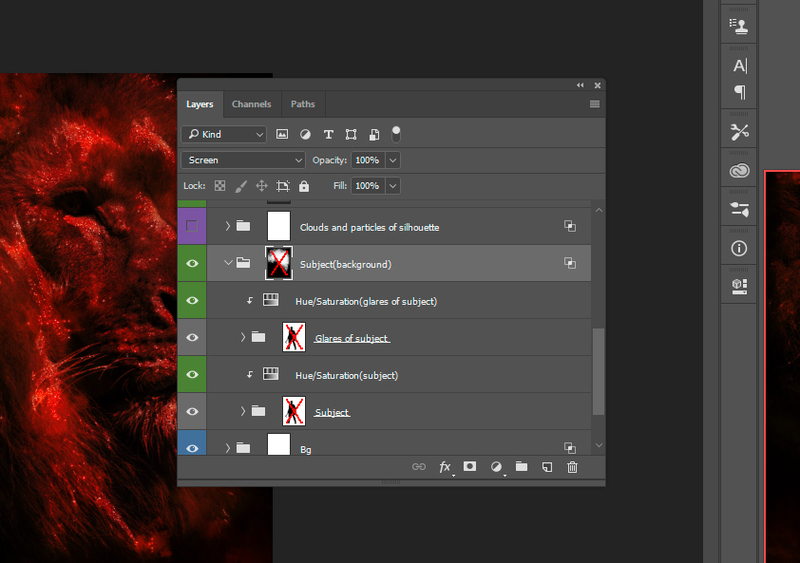 ✓ screenshot of workspace (before playing action), where I can see the “layers” window, the image with masks. ✓ screenshot where I can see the “error” window, the “layers” window, the “action” expanded window. Hi if we only want to use the PARTICLES and GLITTER effect from your action how do we do so? ✓ Clouds and particles of silhouette. Please, send me a screenshot of your result. I’d love to buy this, it looks freaking awesome, but the instruction video is more like watching when a Photoshop artist does a superfast brag video with no narration and pretends it’s a tutorial. Not all of us are able to follow a lightning fast cursor speeding all over the place with no verbal instruction. I had to turn off the music just to try and concentrate on what is being done onscreen and still catch one step before it zipped onto the next. I suppose I could stop and start the video about a hundred times to catch each step, but…BTW, I’m not a Photoshop beginner. I just don’t learn at the speed of light. Okay, so I figured out how to use the video. I turned off the music and set the speed on YouTube to 0.25. Going to buy it now, but if there is anyone else out there like me, try this. It will be easier to learn this way. It looks like a good action. Thank you for your comment, your opinion is important to us! We will think about how we can improve instructions for actions and solve this problem.